Have you encountered that you’ve started using Visual Studio 2010 and wanted to uninstall your older version, but you couldn’t do it and get error message “A problem has been encountered while loading the setup components. Canceling setup.” instead? 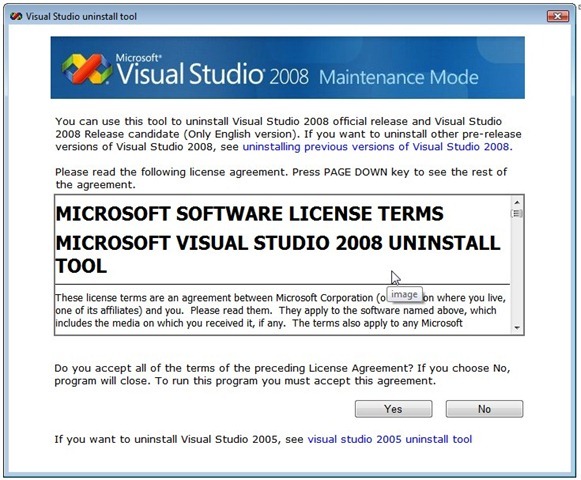 For painless process, use Visual Studio 2008 Uninstall tool that you can download from here.